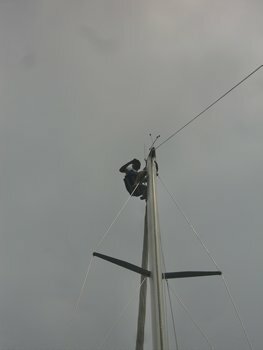 and reposition the navigation light which had come loose and turned on it’s mount. 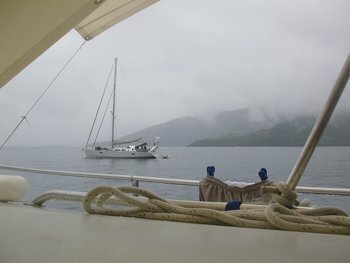 Shortly thereafter it started raining and has varied between tropical downpour and drizzle most of the day. extensive search area of the boats swing on the anchor. from blowing into the cockpit where we are sitting reading. The forecast says it will be worse tomorrow. I think I’ll have that beer now.